I have bought Ralph Kauren for many years. Now, I am wondering why. Each time I buy a black shirt, it fades to green black within three washes. At Polo RL prices this is simply not acceptable. Far cheaper brands, even H&M, manage to use black dye that lasts. I purchased a shirt as a Christmas gift, and the person needed to exchange the EXACT shirt for another size and they would not let him because the tag was off. I understand if the shirt was visibly worn, but it clearly had not been. I will never buy anything from this store again because they refused to help someone who was just mistakenly given the wrong size. Items are returned with tags or exchanged without a receipt all the time. Please learn customer service. The bottoms button came off of a brand new polo shirt the second time I wore it. I have already thrown away the ticket or I would have went to the store and showed the manager what happened and demanded an exchange. Ralph Lauren - Poor Quality Extremely Lousy Fit. I just tried to replace one of my favorite Ralph Lauren shirts and the one we bought is half the thickness in cotton cloth. You can see through it. I'm done. The polo shirts I bought have the buttons popping open when I wear it. It's an embarrassment. Can you please help in this matter. 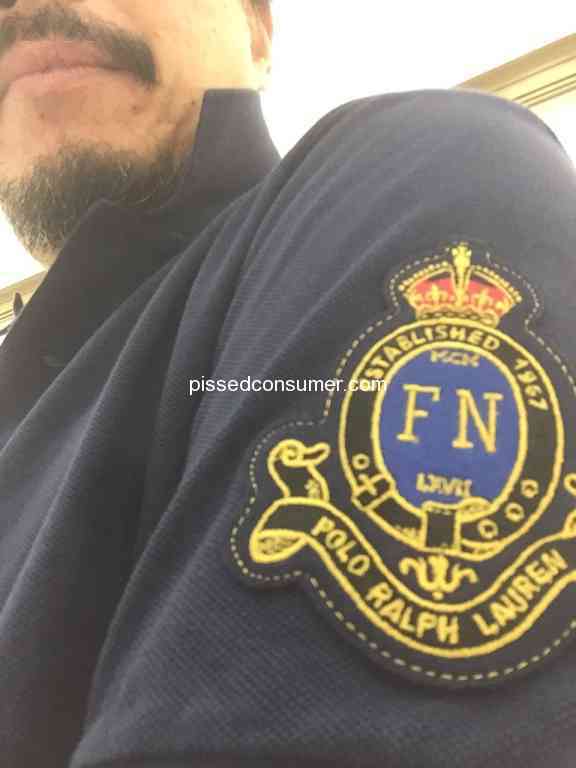 Ralph Lauren - Shirts are garbage!! The same thing has happened with me. Did you have any luck getting customer service to replace the shirts? I can't even get through to anyone at their customer service line!